Sheer (Mihasa) is a member of the Spectral Space Pirates, and is the only female amongst them. 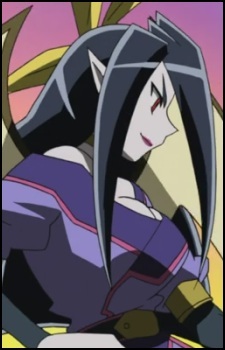 She seems to be the most successful and clever among the three aliens, collecting 3 out of the 4 of the Cosmos Stones that her group collected. Sheer is devious and sneaky, and does not care what she does, as long as she fulfills her task. Her Dino-Card Activator is on her necklace.